Our dining room area has been a hot mess for the past couple of years, and was actually nonexistent. Kam and I are always on the go, never eat at home, and in most cases if we do eat at home it is always in front of the TV. 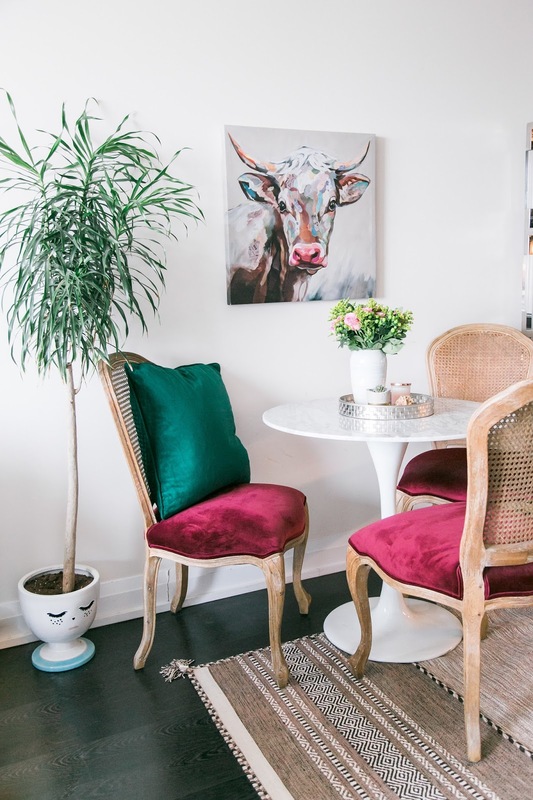 The task of finding the perfect dining room set for a small condo apartment was overwhelming, until I came across the most beautiful French country Walnut Dining Chairs in Style of Louis XV at HomeSense. But how would I fit such a traditional piece into such a modern space? 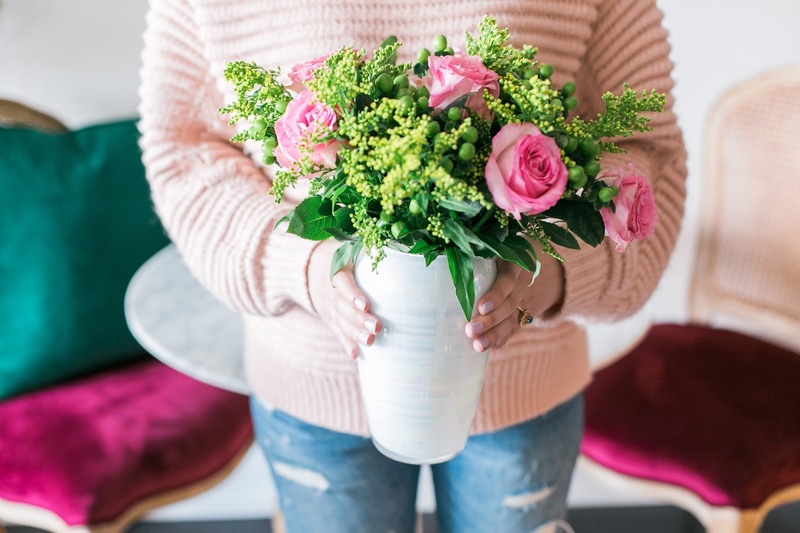 One of my favourite home décor styles is transitional style. 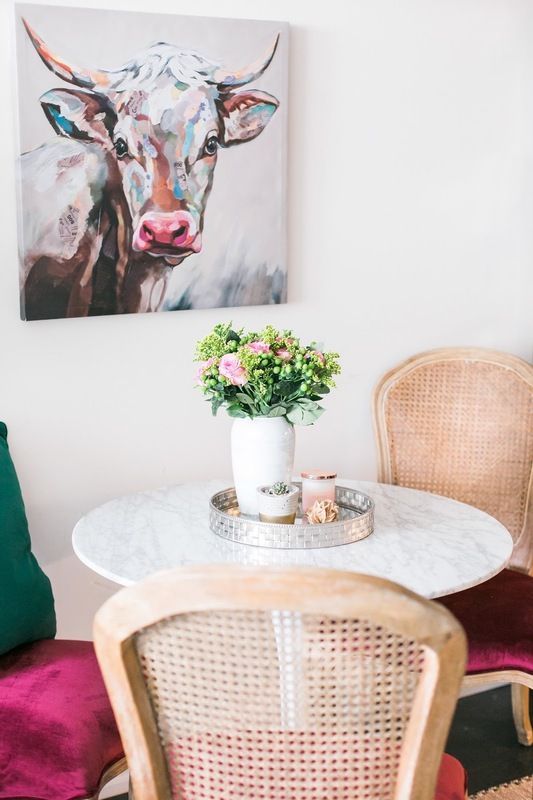 Transitional style is a mix of traditional and contemporary furniture and accents.To simplify the process and achieve a cohesive transitional style, read below 4 key elements you want to consider when mixing traditional and contemporary furniture. 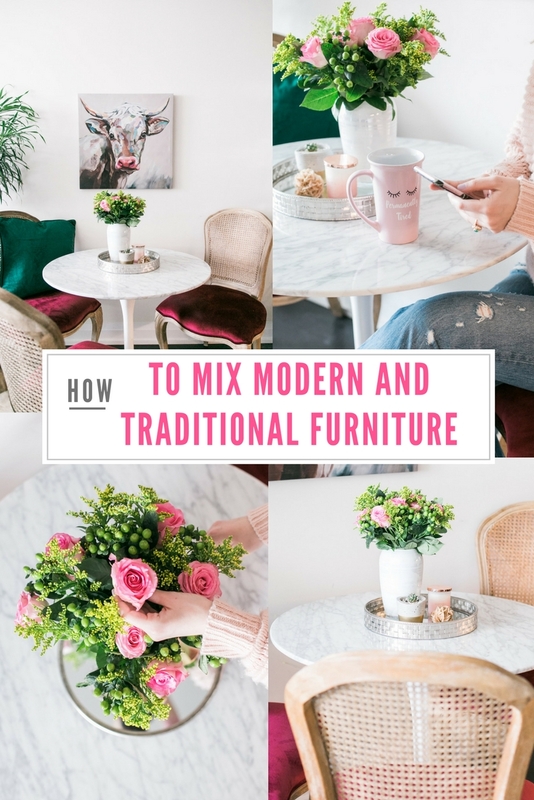 The most important rule when mixing modern and traditional furniture. To create a balance, decide whether you want your space to be primarily modern or traditional. I cannot stress how important it is to choose only one. Once you pick the dominating style, you will either have a traditional space with modern accents or a modern space with antique accents. Do not fall into the trap of having an equal amount of both styles. To add the zen in your room, you can only have one style stand out. 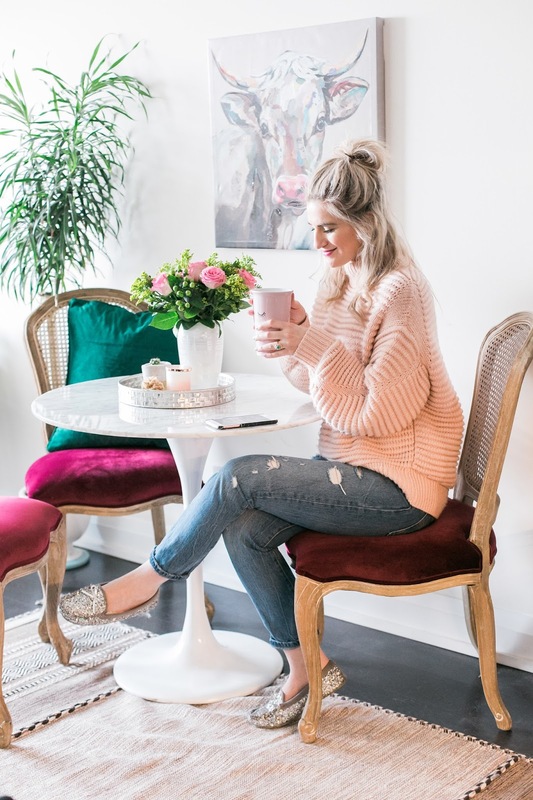 I chose my dominating décor style to be modern just because it fits with the overall feel of our apartment and the French country chairs are so overpowering they automatically grab your attention. Basically, you are furnishing in one style while choosing the other one for accent. 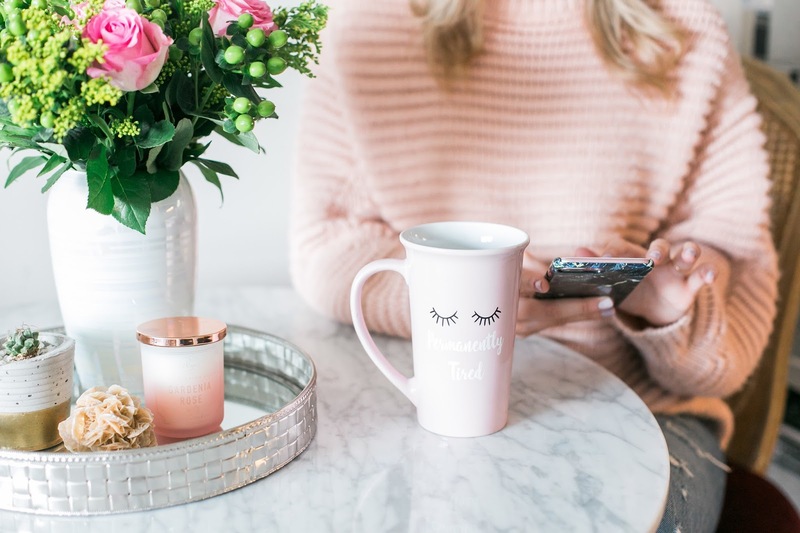 I picked up all of my modern accessories from HomeSense. You are furnishing in one style while choosing the other one for accents. Let one style dominate and use the other one for accents. 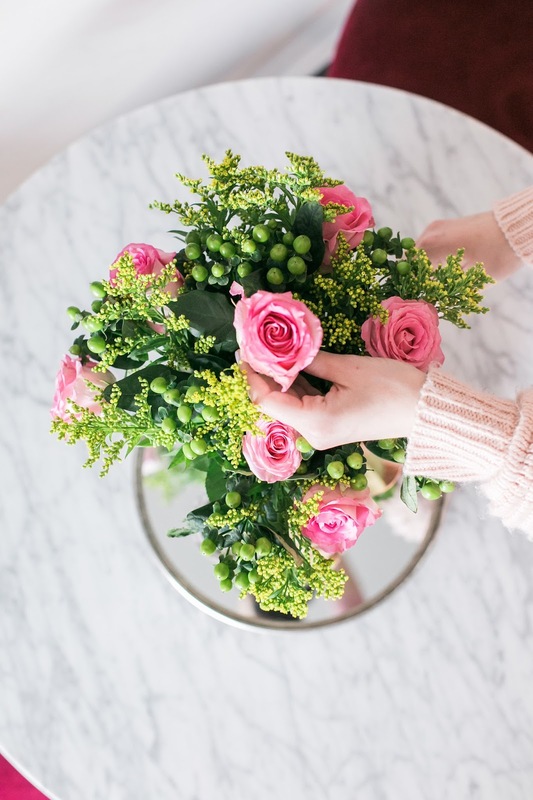 Using a consistent color theme will also help to make your dining room space look cohesive. If you have already picked out your furniture try to build a colour scheme around it. For example, I picked up the French country chairs before the rest of the furniture. To come up with a colour scheme I started thinking about what colours would pair well with the chairs. 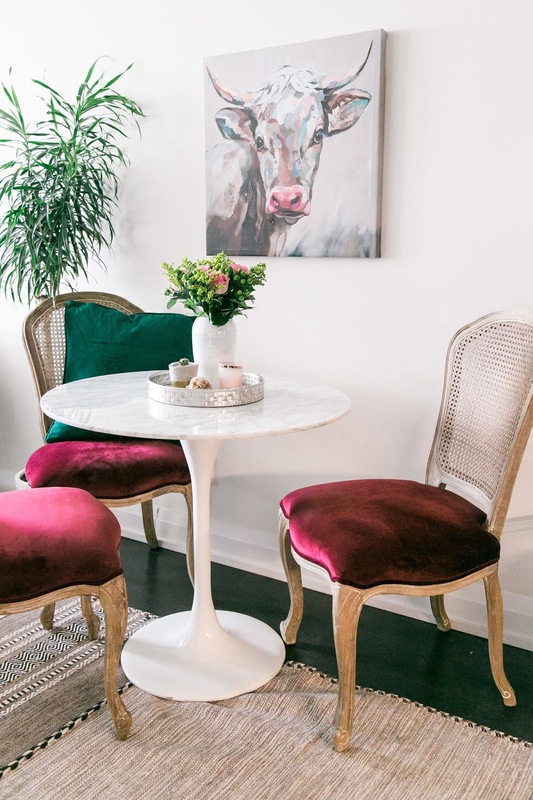 To create a high contract colour palette, I paired the maroon French country chairs with a rich forest green, by incorporating the pillows, and then kept the rest of the palette neutral by adding white/ beige accents and the contemporary marble table, also from HomeSense. A modern marble table and traditional chairs make a powerful couple. When you live in a one bedroom apartment, the rooms get cluttered pretty quickly. Keep accessories to a minimum and keep your dining room are airy by incorporating minimalism. 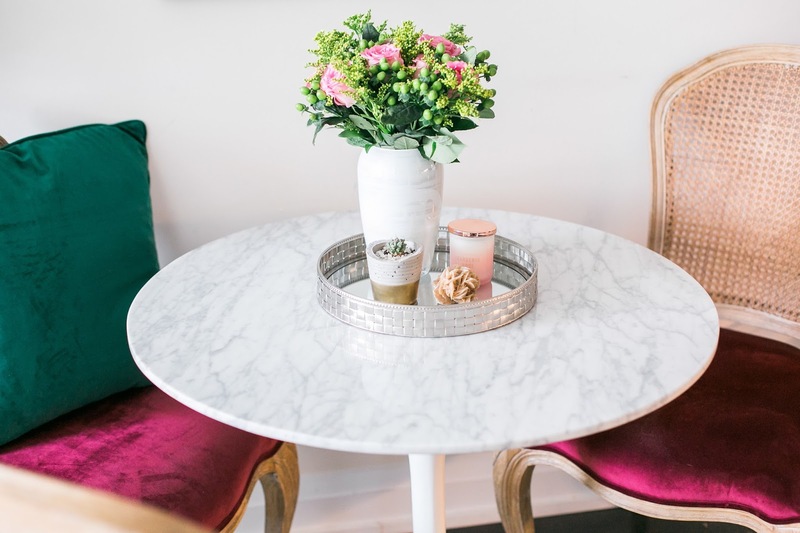 If you want to accessorize your marble top table, I recommend keeping accessories to a minimal. Keep things organized by adding a tray either circular or rectangular and add the accessories in there. 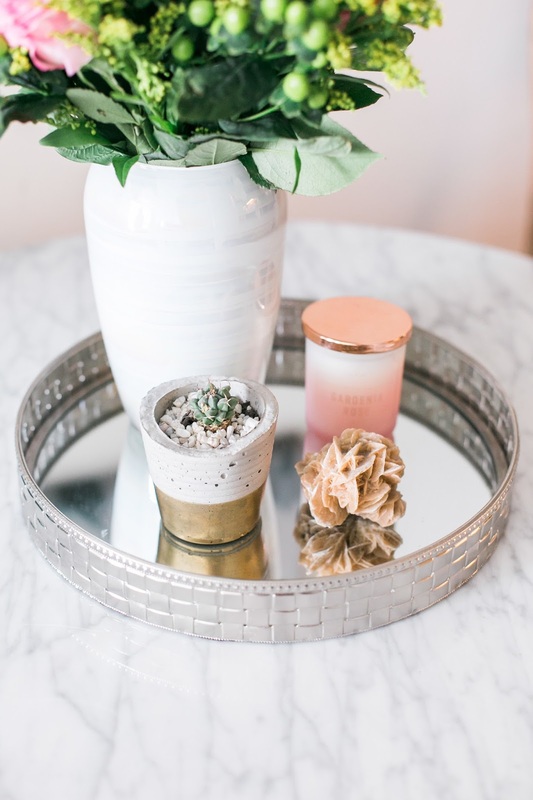 I only added a small candle, an iridescent vase of flowers, a mini cactus, and a dessert rose I had picked up from my travels in Africa. The rule in décor is to organize in groups of three and even though I added a fourth item, I still think it worked out well. Always remember to tie different styles of ascents together that coincide with your colour palette to maintain a cohesive feel in the room. I still cannot get over that I have a cow’s head hanging on my wall. Neither Kam nor I like cows, but there is something about this cow that brings the whole room together. 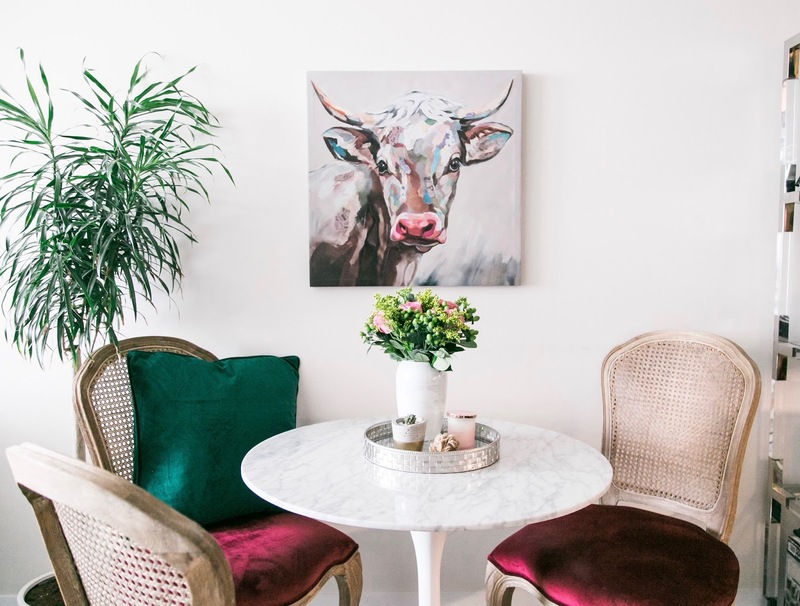 The painting adds the modern touch in the room while it maintains the colour scheme I was aiming for: maroon, green and neutrals.The funky cow (I named her Dolly) brings in the unconventional modern twist to the strict traditional French country chairs. 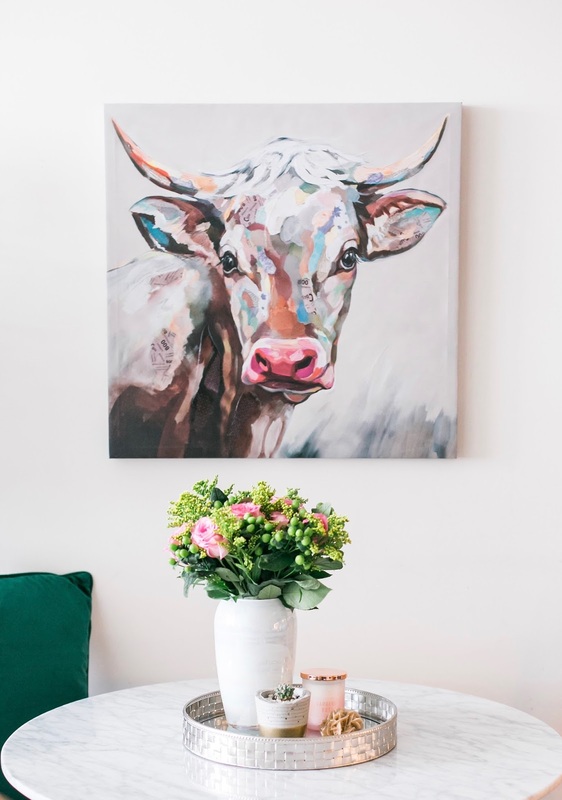 If you would prefer traditional to be your predominant decorating style then I would choose a traditional painting like a landscape, still art of objects or a classic portrait of someone. I wanted to decorate our dinning room area by merging both my love for traditional style with our admiration for midcentury modernism. I hope my four tips to achieve a successful transitional style interior were helpful. Let me know what you think of our dinning room. 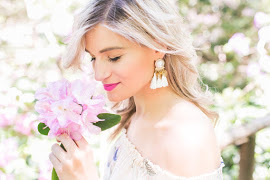 *Items on this post where gifted to me by HomeSense. All opinions remain my own.